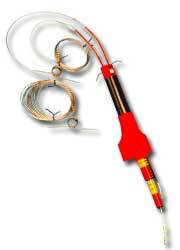 The Resistance Wire Extensometer (RWE) is designed as a simple low-cost instrument for monitoring rock and soil displacements. 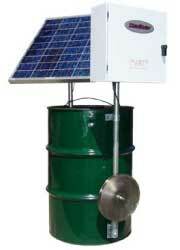 They are installed in underground hard rock mines typically in pillar and stope wall to monitor displacements. 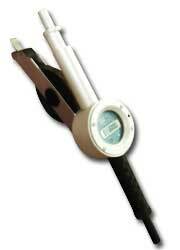 They are a handy tool for monitoring displacement in roof and pillars in underground coal mines. In dams RWEs are ideal for measuring lateral strains beneath earth and rock fill, as well as displacement across construction joints in concrete. Crackmeters are used to measure movement across surface cracks or joints in structures, concrete or rock. 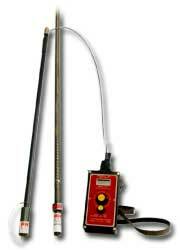 Separations across lifts in dams, crack separations, surface crack on joints and separation in shotcrete can all be monitored using this instrument. Fault movement in rock near the surface is easily monitored using crackmeters. Dual Height Tell-Tales are safety monitoring devices for indicating tunnel stability. It provides underground workers with instant information on roof condition and operational management with roof deformation history and advance warning of remedial action requirements. The reflective colour bands indicate roof movement both within and above the reinforced height at a glance. intervals as substitutes for the standard rockbolts. The exact spacing would depend upon local circumstances. 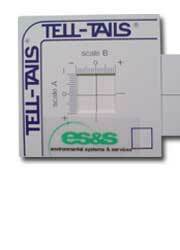 Designed to monitor small cracks, Tell Tails consist of 2 sections fixed to either side of a crack. The self adhesive pads on the rear of the tell-tale allow for quick and easy installation. Alternatively, both halves can be drilled and fixed with screws on an uneven or wet surface, or ES&S can provide epoxy glue that adheres to rock or porous shotcrete between temperature ranges of 4-60 degree Celsius. The cross-hairs of the smaller section should be aligned in a central position on the horizontal and vertical axis. Movement can easily be identified with displacement from this position. 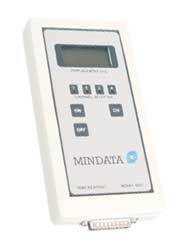 The exto reader readout unit is a portable device used to read all types of potentiometer based sensors. 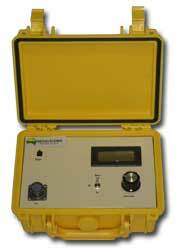 It is designed to measure in millimetres and is particularly useful with ES&S or Geosystems displacement monitoring range. Typical applications include measuring deformation around tunnels, mines and other underground excavations. The extensometers or crack meters are commonly installed in natural or cut slope stability and can even detect settlement when installed appropriately. 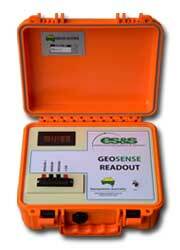 The Geosense readout unit is a portable device used to read all types of potentiometer based sensors. It is designed to measure in millimetres and is particularly useful with ES&S or Geosystems displacement monitoring range. Typical applications include measuring deformation around tunnels, mines and other underground excavations. The extensometers or crack meters are commonly installed in natural or cut slopes to monitor slope stability and can even detect settlement when installed appropriately. 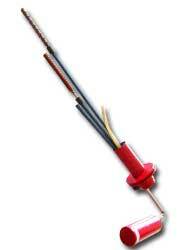 MPBX extensometers are used to accurately measure longitudinal displacement in rock masses or concrete boreholes. Particularly useful for distinguishing deep seated movements from surface spelling, which is of value in assessing the need for or determining the efficiency of a rock bolting system. Other applications include measuring deformation around tunnels, mines & other underground excavations, monitor slope stability and even detect settlement when installed appropriately. 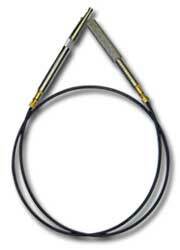 The micrometer is a mechanical device used to measure the diameter of a roof bolt hole along its length. 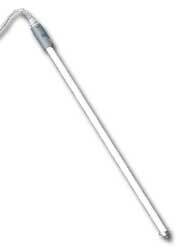 The standard unit has a range of 25 to 37mm and a 2.5m flexible section connecting handle to head). The hole diameter is read from an etched scale mounted on the handle. 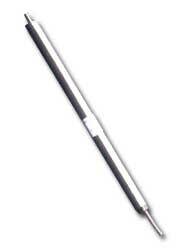 It works similarly to a calliper enabling the user to check borehole diameters along the 3m length. It allows for a quick low cost measurement and easily identifies drilling cave ins which is key for rock bolt anchoring systems.